May 1, 2011 Angela G.
I love a good story, and with a name like “Green Goddess” you know there’s a bit of a tale lingering around. An almost kitschy throwback to the 1920s and 30s, the dressing is a zesty combination of fresh herbs, anchovies and sour cream, enlivened by a little bit of lemon juice. The name supposedly originates from the Palace Hotel in San Francisco where the dressing was made as a tribute to the hit play, “The Green Goddess,” and alas, a star was born. My guess is that the popularity of this gem died down with the waning of favor over anchovies – a pity, really, in that the flavor profile of anchovies themselves are addictive. If people can down caesar dressing by the gallon, what’s the deal with hating on anchovies? It’s plain malarkey. The recipe for this dressing is a riff off a version from Food and Wine Magazine used to dress a chicken salad. My husband took a look at the picture and said, “This would be great without all of that other mess around it.” “So you mean just the dressing?” “Yeah, pretty much.” After a few tweaks to the recipe and a bed of greens, we were cooking with gas. So where does a nostalgic dressing trip down memory lane take us. To a salad with just as much historical presence. 1930 at the Hollywood Brown Derby heralded the chefery of Robert Cobb and Chuck Wilson – apparently the owner Cobb wandered around the kitchen looking for something awesome to eat and threw together a crazy amalgamation of greens, bacon, eggs, avocado and blue cheese. I can appreciate a late-night scrounge for munchies, if I do say so myself. In plating this salad, I love a careful presentation of each ingredient segmented into its own section. Something about the vibrant colors in their own spots just waiting to be mixed together with the lovely dressing is an impressor and a half. As you know, it’s all about the presentation…says the designer. 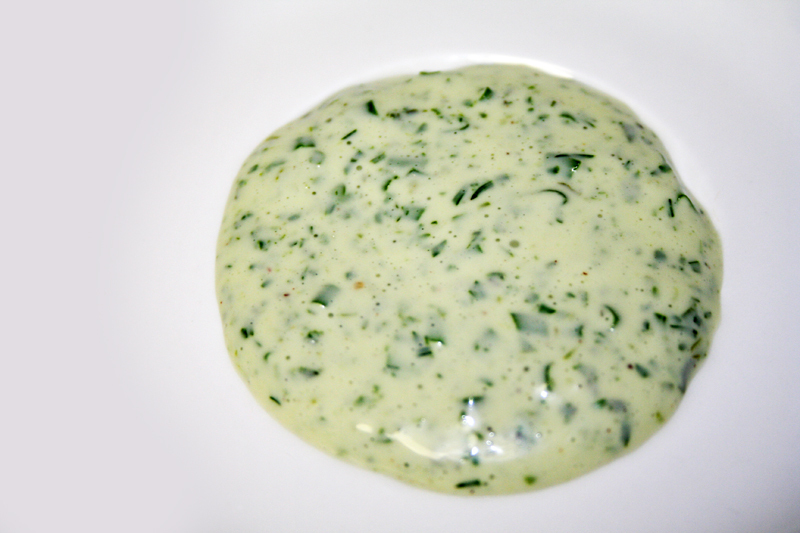 Begin by making the dressing – add all of the herbs except for the chives to the food processor, along with the garlic, lemon zest and juice. 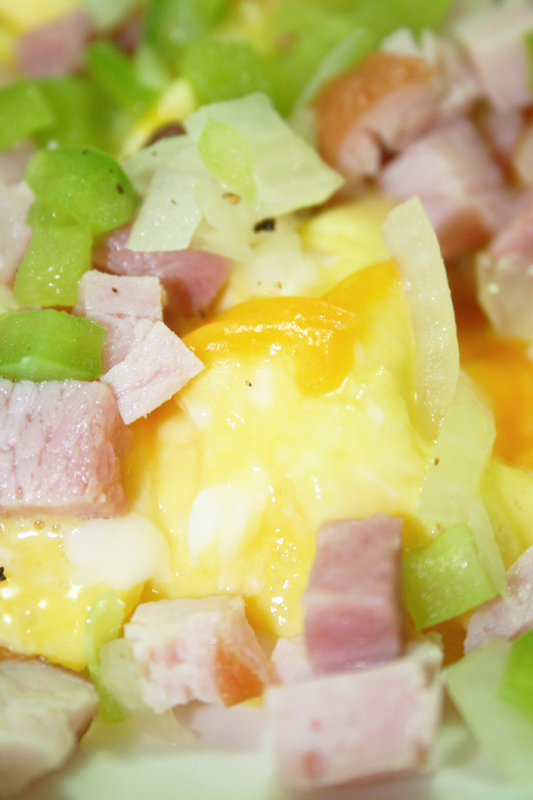 Blitz until finely chopped and then add the mayo. Blitz again to blend and then remove to a bowl. Stir in the chives and then season with salt and pepper. Chill. Heat the olive oil in a skillet. While that warms, season the chicken with the herbes des provence and salt and pepper. Sear the chicken until it is cooked through and browned on both sides. Remove from pan and let cool slightly. Cube chicken and set aside. Grab a large platter and make a bed of greens. 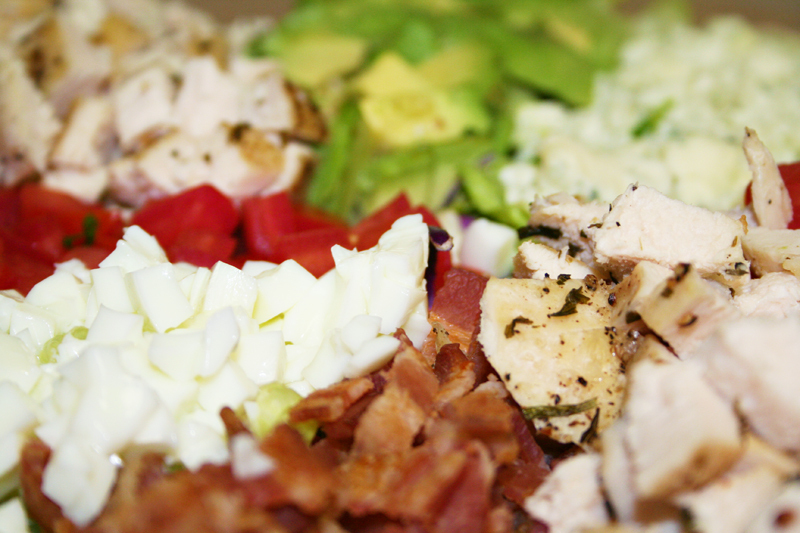 Arrange the tomatoes, chopped eggs, chopped bacon, avocado, blue cheese and chicken in a pretty splay. Right before serving, toss the salad and top with the Green Goddess dressing. Tuck in and get down. Bread pudding is the dessert of my dreams – unlike anything else in baking which requires precision and accuracy, bread pudding is forgiving and versatile. Best of all, the basic recipe holds up with a plethora of changes to the ingredients list – the bread can be anything from challah to croissants, the filling can be chocolate, fruit or nuts and the spices can run the gammut from cinnamon, vanilla, almond, rum or cloves. The entire mess is bathed in a luscious egg custard and baked to perfection. 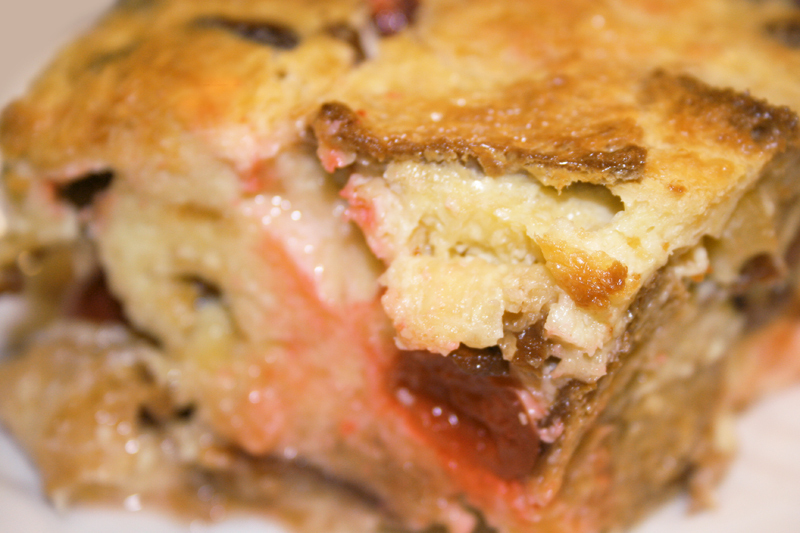 This particular bread pudding is the perfect celebration of flavors and textures – the creamy white chocolate melts into the custard and the cherries stud the spongy bread with tart sweetness. Best of all, your prep includes very little chopping and some basic whisking. Easier than pie (or cake or cookies or streudel). This also gets better with age – let the bread pudding chill for a day and then warm the slices the next day for a denser, moister treat. Which means that you can make this a day before guests show up and you’ll be the star of the show two days in a row. Begin by buttering a 13x9x2 pan (or festive casserole pan, lol). Cube the bread into rough, 1 inch chunks and add to a large mixing bowl. Toss with chocolate chips and cherries. Dump mixture into the casserole and let hang out while you make the custard. In the same large bowl, whisk together the eggs, cream, extracts and cinnamon. Pour the custard mixture over the bread cubes and press down to allow the bread to soak up the liquid. Let it sit for fifteen minutes and then press cubes down again. Bake on 375° for 1 1/2 hours, or until the middle of the bread pudding is mostly firm and no longer jiggly. Let sit for 10 minutes before serving. January 3, 2011 Angela G.
My alma mater was pretty awesome all around, but the cafeteria was a different story. Not exactly the paramount of culinary majesty, let’s just say that I was uber-happy to have a kitchen in my dorm room for my junior and senior year. The cafeteria was certainly manageable if you knew exactly what you liked that was safe to eat – limited salad bar, yes but grilled cheese and cheese fries, no. On my safe list was a broccoli frittata made on weekends for breakfast – they doled out huge spoonfuls of fluffy eggs, broccoli, shredded carrot and cheddar cheese. 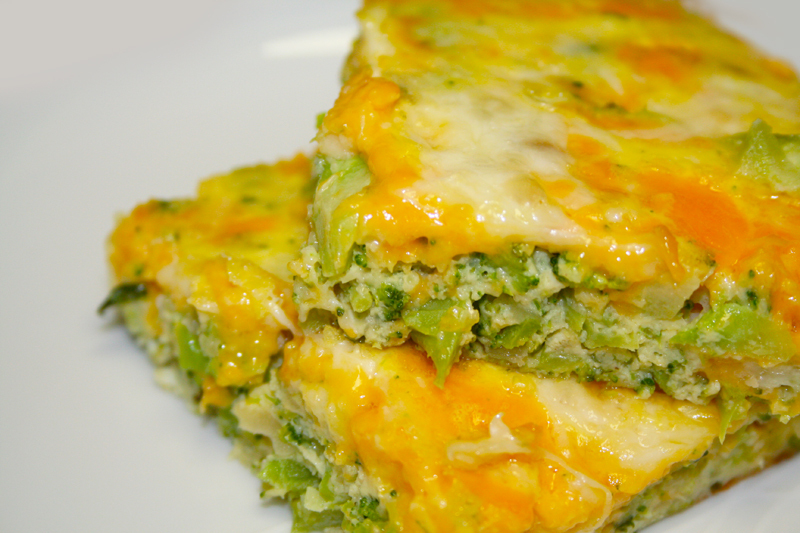 For a cafeteria where cheerios and milk could prove dangerous, I adored the broccoli frittata. 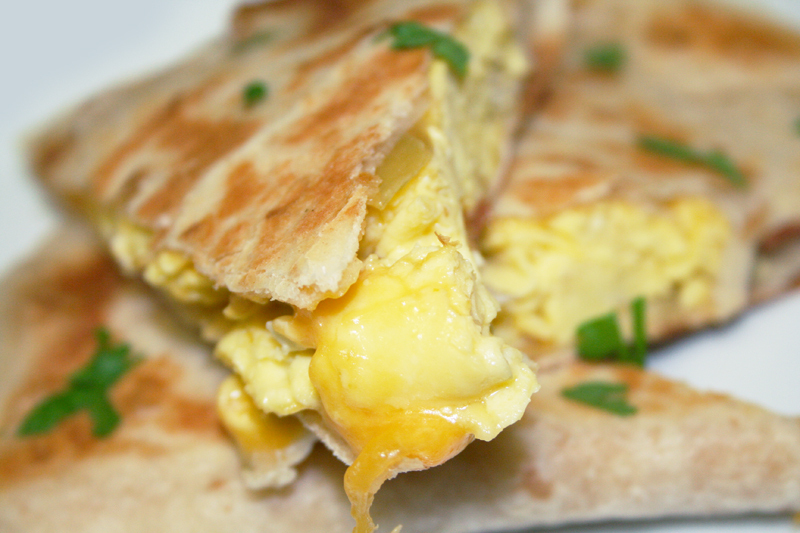 Years later, jonesing for that good ol’ recipe, I came across a similar version on the Whole Foods website. Who knew? Maybe my school wasn’t so bad after all! Or at least whomever was making the broccoli frittata back there in the kitchen was holding it down. 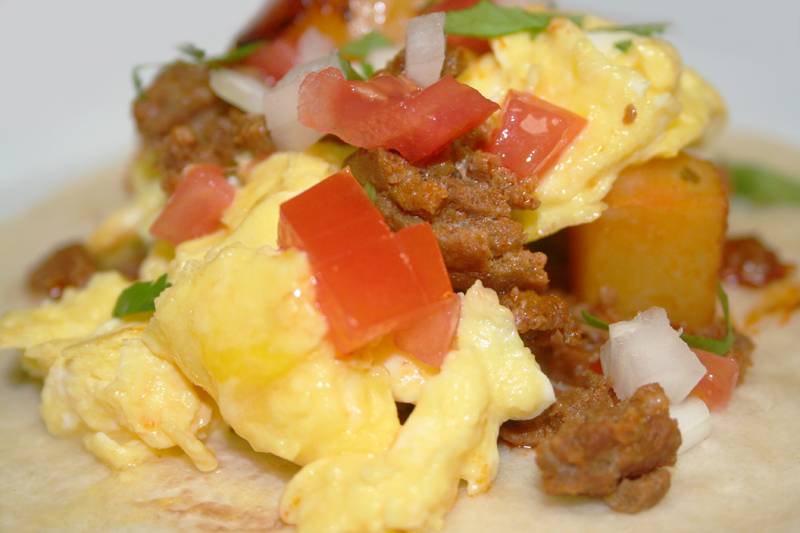 This recipe is uber-simple and works well hot or warm, so break it out for a breakfast, lunch or brunch option. It also holds up with other varieties of veggies, so feel free to raid your produce bin for other stars of the frittata. Chop up the broccoli and shallots (or onions) finely – I do mine in the food processor. Sauté the veggies in butter in a frying pan until tender, about 2-3 minutes. Set aside and allow to cool slightly. In a mixing bowl, beat the eggs, milk, salt, black pepper, white pepper, flour and nutmeg until smooth. Stir in the broccoli mixture, cheddar cheese and swiss cheese. Turn out into a greased baking pan, 13x9x2 for a thin frittata or a 9×3 inch round pan for a thicker frittata, on 350° for 25-30 minutes, or until set in the middle. Let rest for 5 minutes before cutting.